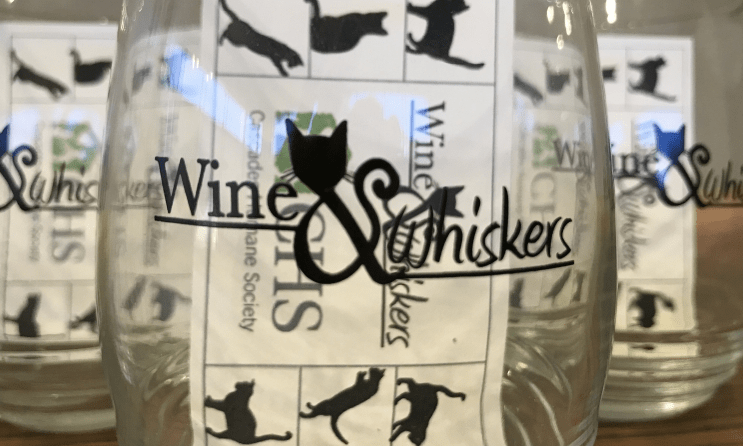 CHS is excited to announce the 2nd Annual Wine & Whiskers fundraiser celebrating all things cats! Wine & Whiskers is a wine and food ‘purring’ that will take place on Thursday, April 18th from 6-9pm at the beautiful Forty Nine South. In addition to the company of fellow pet lovers and local wine connoisseurs, guests will enjoy local wine & food pairing stations, raffles, and more! Tickets are just $30 each before the event ($35 at the door) and include a souvenir wine glass and six wine tasting & food ‘purrings’. Several wines from 5 local wineries will be paired with a small sample of food that best brings out the flavors of each wine. Of course, events like Wine & Whiskers are not possible without support from our sponsors. If you are interested in becoming a sponsor, contact Stephanie Sharp at ssharp@chspets.org or 517-796-4905.